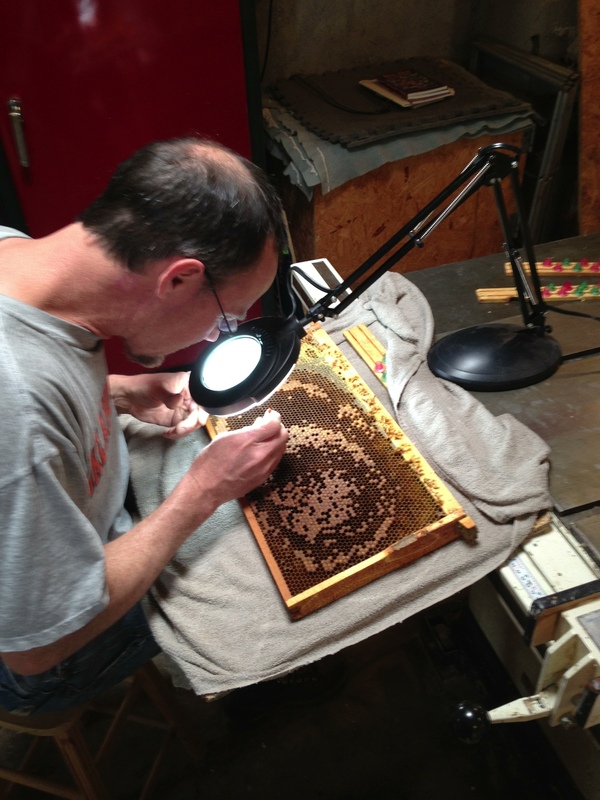 I spent the afternoon with my bee mentor, Steve Wall who showed me how to begin to raise my own queen bees. Queen bees can live 3 to 5 years, but they are the most productive in their first two years. The bees in the colony are sensitive to the strength of their queen and as she gets older or dies, they will naturally replace her. It is the worker bees that produce the queens. How do they do that? Well, all fertilized eggs that the queen lays are female and therefore are potential queens. For the first 3 days after the egg hatches in to a tiny larva, it is fed a special substance called “royal jelly” . This stimulates the development of the larva. After three days, however, larva destined to become worker bees are no longer fed this royal jelly and instead are given a lower grade food of pollen and nectar. Their reproductive organs do not develop and they turn in to into sterile worker bees. . Only those larvae that reside in specially built “queen cells” continue to get royal jelly . Being fed royal jelly will continue the development of their female reproductive organs and the result will be a fertile queen bee. We can use this knowledge then to get the bees to make a number of queens for us. 1. 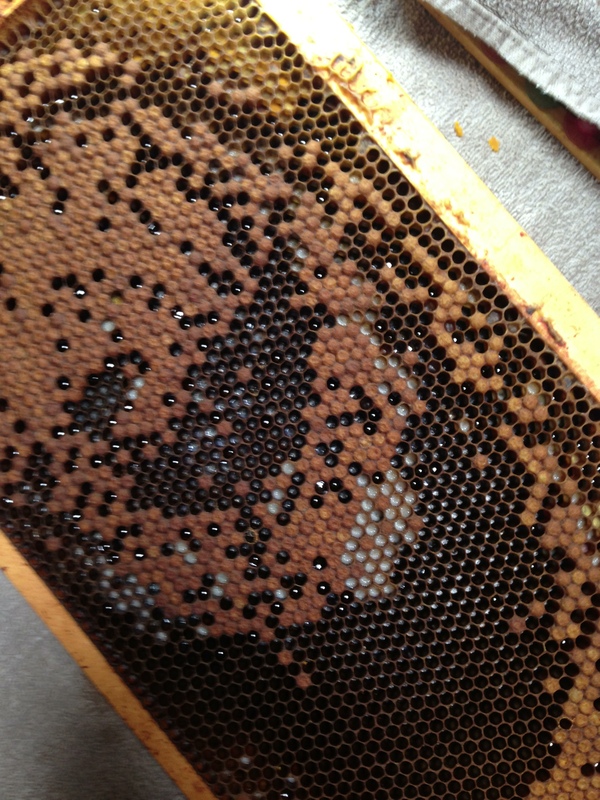 Select a comb that has a lot of open brood ( larvae ) in it. 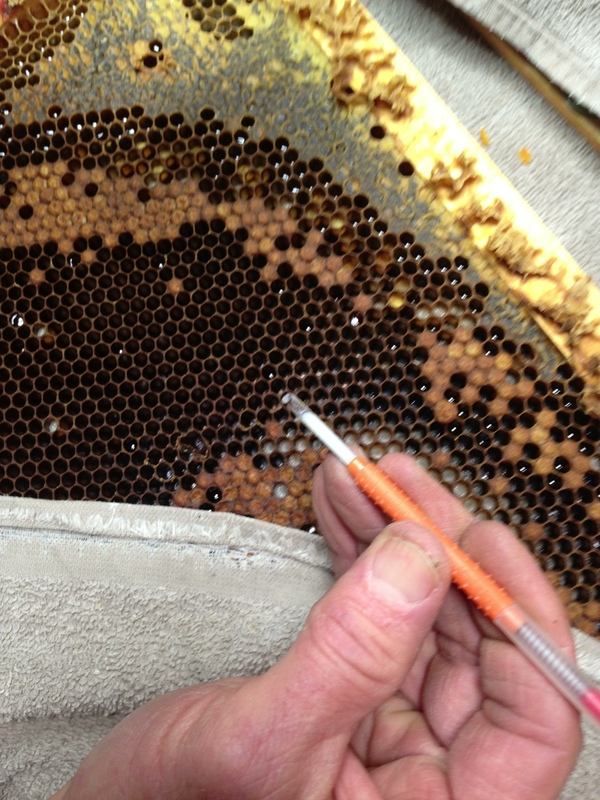 This is where the queen has been actively laying eggs. 2. 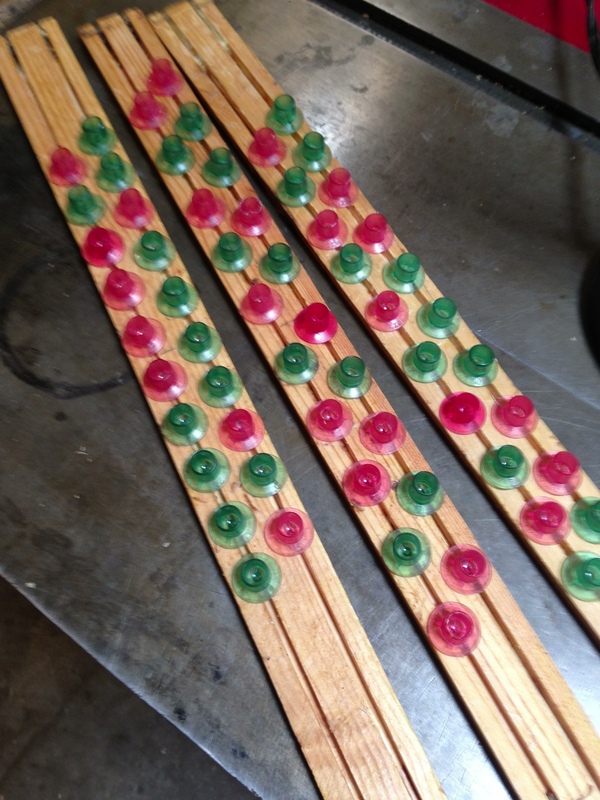 With a special tool…like a thin pen with a flexible blade at the end…. gently scoop up a very young larva…it must only be 1 or 2 days old. ( see how small it is? This takes a lot of patience and good eyesight and practice! 3. Carefully place the larva into one of the “queen cups”. 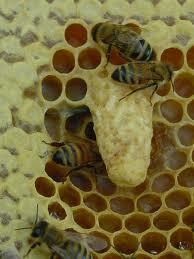 This mimics the special “queen cell” that the workers make to hold the special egg that will develop into a queen. We used commercial plastic cups. 4. Once all the cups have been filled ( we transferred 60 larvae…. Steve did the first 40 and I followed with the other 20) the bars are placed back in to a new hive that has had the queen removed from it . The workers now will sense that they have no queen and will begin to feed these new larvae royal jelly , as they are in what the workers think are “queen cells”in order to produce a new queen for their colony. 5. It takes 10 days for the larvae to develop and form a pupa( cocoon) . That will be May 3. At this time we will open up the hive and see how many of the 60 larvae have made it to this stage. If we are lucky we may get 10 – 15 . Fingers crossed! I’ll report on our success and the next series of steps to take. Stay tuned! 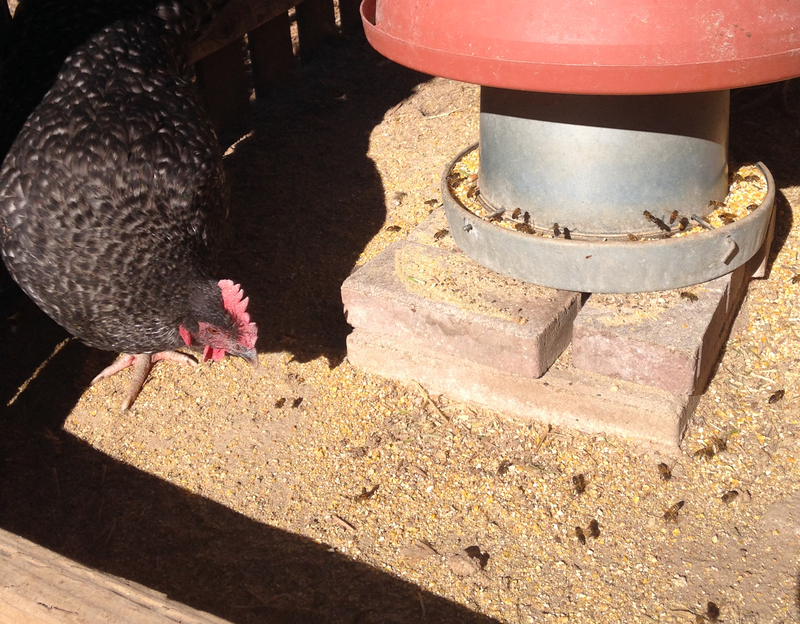 “Successful Queen Rearing”: Dr. Marla Spivak and Gary S. Reuter. University of Minnesota Extension Service publication.